This is Easedale viewed from the path from Sergeant Man to Blea Rigg. The horizon is dominated by fells in the Fairfield Horseshoe with Fairfield itself a third in from the left. 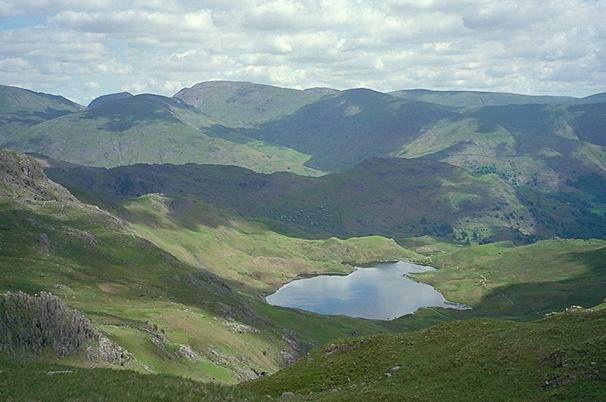 Behind Easedale Tarn, in shadow, is Helm Crag and on the left rising above the Tarn, the slopes of Tarn Crag. Smaller version of this picture.